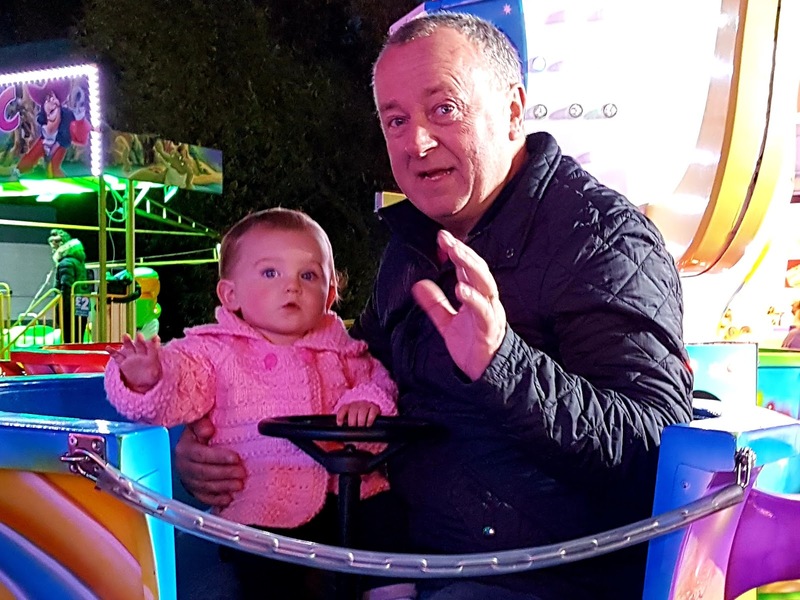 ...then we spotted the Hook a Duck- it's a much loved fairground tradition- who doesn't want to pay £3 for a piece of tat and then every little girl wants to ride in a spinning teacup with her Papa and how could I say no to a little train ride, especially when Papa himself is a train driver. 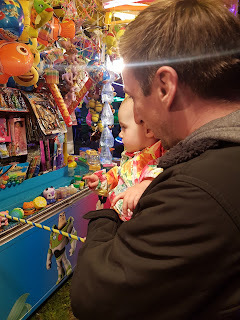 So our little walk to the fair cost us a small fortune but it didn't have to cost us anything, Iris was happy to just dance to the music and watch the rides go round, it was the grown ups that wanted to go on the rides! 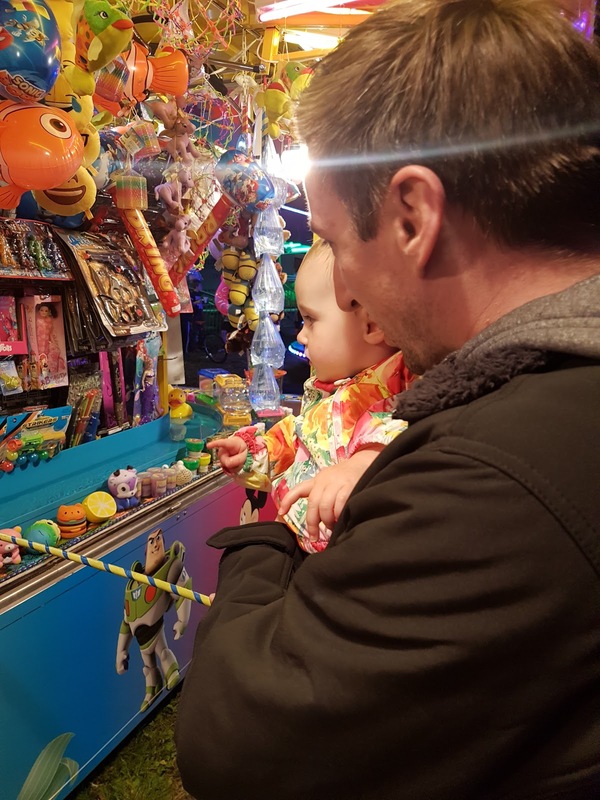 During our visit to the fair I realised how important these traditions are to us, how exciting nostalgia can feel and how blessed we are to be able to repeat the things our parents did with us with our own children. My personal highlight was seeing my parents step into the role of grandparents- watching them become to Iris what my grandparents are to me.